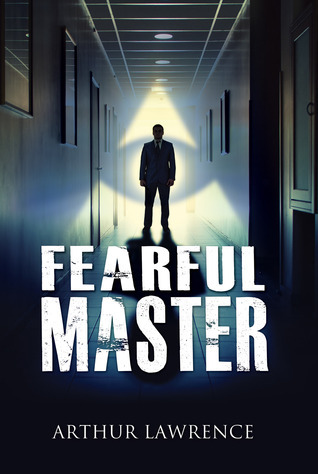 If things keep going as they are, I fear that the author of this week’s book, Fearful Master , is right in predicting a world where simply being Muslim is grounds to imprison you and strip you of your American citizenship. There is much to fear in Arthur Lawrence’s fictional world: a hyped-up Homeland Security called SECOR; a Canadian government that is just a bit too deferential to American interests; the US military basically invading any Muslim country on the smallest pretext; increased surveillance powers and a loss of freedom and privacy that is just a bit too close to reality to be comfortable. The novel focuses on Jason Currie, a Lebanese-Canadian working as an analyst and linguist at CSIS. On assignment in Los Angeles, he is sent to Mexico to make contact with an ex-lover, Miriam, who lives with a wanted American dissident, Brendan Manwaring. Stuck between his loyalty to CSIS, the looming threat of torture from SECOR to discover what he knows about Miriam and the dissident, and his desire to save the girl he loves, he needs to navigate the choppy waters of international espionage, American internal security and external affairs policies and his own personal feelings. If this sounds complicated, it’s because it kind of is. Unfortunately, despite an interesting premise and some enlightening and topical analyses of the current state of affairs in North America, the novel fails to deliver deep characters, moving writing and a tight plot, which should be the first thing a spy thriller delivers. Characters, first. Although I was curious to follow Jason’s story, I never really cared for him. Even through harrowing torture scenes, I failed to ultimately connect with him and his fate. As for Hawk, Miriam, Manwaring and Werner, they were so little defined that I sometimes had trouble keeping up with who was who–except for their genders and names. Towards the end, Hawk and Werner are much better defined, but I was left with a sour taste in my mouth concerning Miriam, the only important female character in the novel, and supposedly a willful activist who ends up doing pretty much nothing but waiting to be saved by Jason. The failures of characterization are not helped by the middling nature of the writing. It’s not terrible, but it’s not excellent either. It’s just rather on the nose all the time, with uninspired descriptions and not much style. If several torture scenes of the main character fail to move you, there’s some work to be done on the emotional side of the writing. That’s what the novel lacks the most: a way to rouse emotions from the reader. At least, it didn’t arouse much in me. There are also several plot issues that I feel should have been addressed. There’s a trip to Sudan that serves as an exposition device, but not much more; several trips to Mexico that could easily have been compressed to one or two; and weird questions about how he was allowed to go there in the first place. I just couldn’t understand the motivations of most of the characters, which left me wondering, ultimately, why any of them did what they did. Even the final revelations left me with a “what the hell?” feeling, which is not good when you’re writing a thriller. “That sounds a little thick to me,” Jason says. “Just tell him!” Werner says before Hawk can comment. Hawk glares at Werner. Al Ansari hears Jason out with the raised eyebrows of a skeptic. “Do the Americans tell you Canadians such tales?” Jason breaks into a chuckle. That is as clear a point as you can make about the inherent inequality in the current state of international affairs. How can they not see us as enemies if we keep attacking them in the name of Western democracy, i.e. Christians? Are we just going to call a new Crusade? Of course, everyone who’s even mildly sane knows that blaming all Muslims for the current wars is just as crazy as blaming all Christians for the current attack on women’s rights. Despite the interesting political arguments and how the novel caught my interest from a thematic point of view, it doesn’t really work as a compelling story. This is the author’s first book, so I do want to give him the benefit of the doubt and of experience for any future volumes. If you’re interested in seeing what a slightly more radical, islamophobic and war-mongering world would look like, it’s a good couple of hours to spend. But if what you ultimately want is a compelling, tightly written thriller with interesting characters and inspired writing, you should give this one a pass. we waste so much energy quarreling over illicit things to be honest. The world would be happier without the dirty politicians.